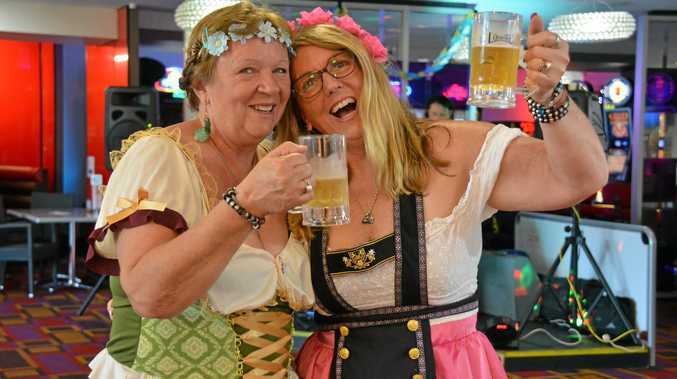 WITH pretzels on the tables, beer steins in hand, and pork knuckles being prepared in the kitchen, Nanango RSL got into the spirit of Oktoberfest. Branch manager Sheena Lindholm said the staff were all dressed up, learned some traditional German words, and kept the Lowenbrau flowing from the tap for the festivities on Saturday October 20. "When the staff turned up this morning, it was the smiles on their faces that set the tone for the day," she said. The 18 staff working on the day had been preparing their costumes for three weeks before the festivities. "We were just so excited about showing off another cuisine from around the world, but also getting into a little bit of a different spirit here at the Nanango RSL," Ms Lindholm said. The lunch session was almost booked out, and the dinner is expected to be swamped, with the Oktoberfest excitement spreading throughout the town. 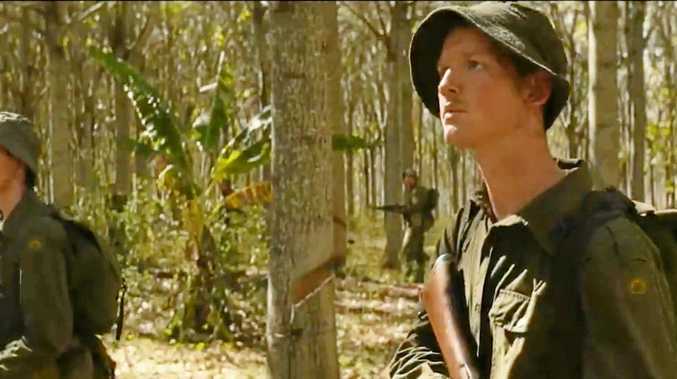 "Nanango this weekend is all about live music and showing it off," she said. German band, Montego Duo, from the Brisbane and Gold Coast German clubs performed their German music for the diners. The chefs worked on platters filled with pork knuckle, traditional Oktoberfest dumplings, and sauerkraut sausages. "These are the things that dreams are made of when you go to an Oktoberfest," Ms Lindholm said. Nanango RSL plan to make the Oktoberfest lunch and dinner an annual event. They will also hold many more around the world cuisine events throughout the year, on the last Friday of every month. The international cuisine nights will give the chefs an opportunity to go beyond the normal menu the RSL serves on ordinary nights. "For them they get to show off their culinary skills, which my kitchen is full of," Ms Lindholm said. The last Friday of this month, October 26, will be Chinese-themed and the last Friday of November will be Italian-themed for dinner, a taste of Tuscany. Oktoberfest-themed meals, fun and games will be on offer at the Nanango RSL tonight. To book a table call 4163 1375.